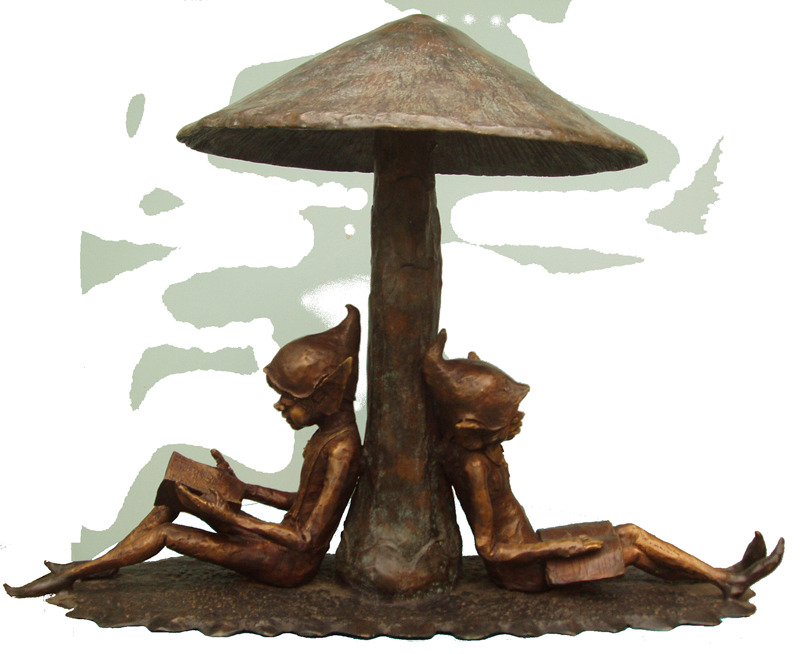 These two Goblins have been caught out in a shower and are having to shelter under the cap of a mushroom. They're in no hurry though and even when the Sun is shining, they will still use the mushroom for shade and just laze around there all day long. No one can deny the charm of these lovely characters. 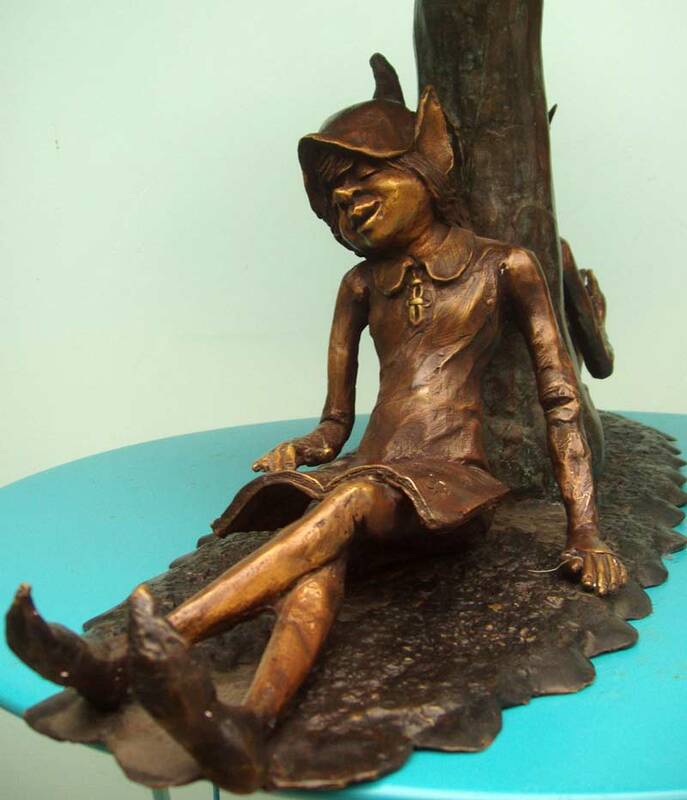 Bronze Goblin statues, beautifully made from hot cast bronze to create something which not only looks superb, but will also last a lifetime. 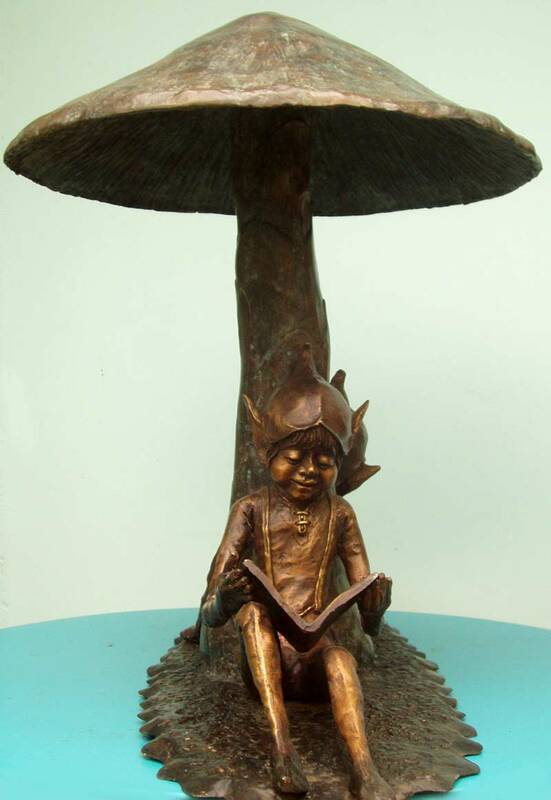 This bronze Goblin statue seconds as a superb water feature, so can be added to a pond or pebble pool and a pump attached to run water over the mushroom cap.